Lets start from the end and work our way to the beginning. If you are located in or will be traveling within the Schlafly distribution area, I urge you to grab a bottle or two of the Schlafly Imperial Topaz IPA. It is a real treat and I hope to get my hands on another bottle soon. This is definitely a rare beer type as I could only find 3 other beers that use the topaz hops1, all of which are 6.5% ABV or less. Schlafly opened their Tap Room for business on December 26, 1991. 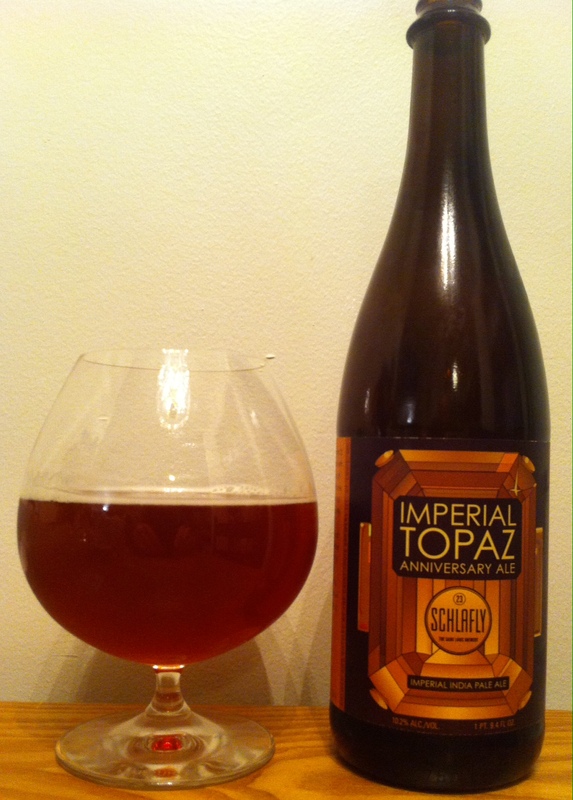 They released this incredible Imperial Topaz IPA on December 26, 2014. I was fortunate enough to have a most kind and generous soul, who was dining at the Tap Room with friends, buy and bring me a bottle. There is nothing better than getting a beer straight from the source. You can read all about my visit to the Schlafly Tap Room tomorrow. I had initially thought, upon hearing about the beer, that it was an Imperial IPA version of Schlafly’s incredible Tasmanian IPA. While this thought got me very excited, I’m glad I was wrong as the beer Schlafly came up with is much better than a simple retread with a higher ABV. This is one of the best Imperial IPAs I’ve ever had. It has a phenomenal “easy-drinkability” trait, that packs a high octane punch. The mellow or “softer citrus edge” is a real selling point for me, along with the subtle apricot notes. It’s nice to enjoy this style of brew without having your palate annihilated. Sometimes I’m in the mood for a good palate bombardment but not all the time. The nose on the beer comes through very nicely even if you are like me and have a slightly stuffed up nose at all times during a cold winter. It has a nice strong tropical aroma, that sets you up nicely for the the flavor profile of the beer. Whether its the Schlafly Raspberry Coffee Stout or an Imperial IPA brewed with relatively obscure Tasmanian hops, Schlafly is great at crafting beers of any style. I’m immensely satisfied with making the Schlafly Imperial Topaz IPA number 496 on my Countdown to 500 unique beer check-ins on Untappd. What will be number 497? While I’m sure you aren’t as excited as I am, you can find out the answer this Friday. 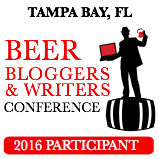 This entry was posted in Beer Style, Imperial/Double IPA, IPA (India Pale Ale), Schlafly and tagged beer, Countdown to 500, IPA, review, Schlafly, Schlafly 23rd Anniversary, Schlafly Imperial Topaz IPA, Tasmanian IPA. Bookmark the permalink. And your brother James had been known to drink 496 beers in a day while playing croquet on a warm summer day. So big deal. 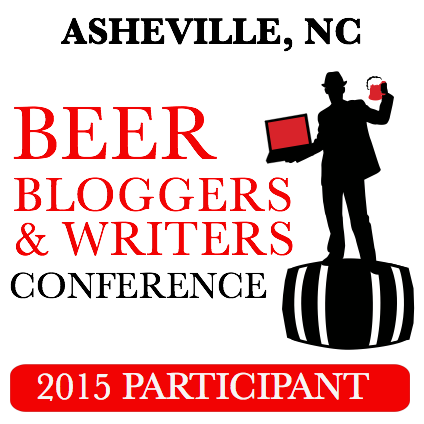 OH, WAIT, he only drinks Bud Light and you try other beers. MY BAD!